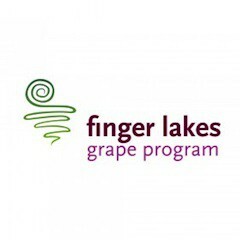 The Finger Lakes Grape Program (FLGP) is a regional extension program of Cornell Cooperative Extension serving the grape and wine industry of the Finger Lakes. The FLGP provides unbiased, research-based information to the region's grape growers in areas including vineyard and pest management practices, new vineyard establishment, farm business management, marketing and business development and more as a means of supporting the industry's growth and long-term sustainability. This information is distributed to growers by a variety of means, including printed and electronic communications, field meetings and workshops, and an annual winter conference. Ontario, Seneca, Schuyler, Steuben, Wayne and Yates Counties. simply click on a county within the map.